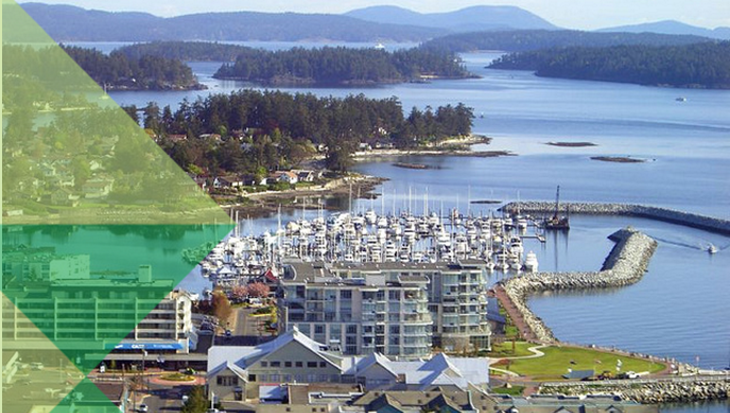 The Town of Sidney, BC is located on the southern tip of Vancouver Island, approximately 20 kilometers north of Victoria. Its proximity to the main ferry route to/from Vancouver, make it a popular tourist destination. Known as Sidney-by-the-Sea, (a part of the WSÁNEÆ traditional territory), it’s situated amidst the Gulf Islands with a view of Mount Baker (at a distance). The Town of Sidney needed a supported solution that would meet their ongoing budgeting requirements. Questica Budget now provides the Town of Sidney with a solution that makes it easier for the Finance Department to administer the budget process from year-to-year. The Town of Sidney had a team of 12-15 people involved in the budgeting process for Capital and Operating. An integrated program was already in place for the Town’s Operating budgets, but it was cumbersome to maintain and the software no longer met the requirements of the budgeting process. Capital budgets were prepared using MS word templates and then compiled in Excel. This was a manual process that required many hours and left Sidney vulnerable to input errors, plus multiple versions of the same budget. In addition, this posed a challenge when it came to compiling all the necessary departmental budgets into one. The Town was concerned about the limitations of their existing reporting process. Reports were developed in Excel (limiting their scope) and the time involved in preparing those council ready reports was prohibitive. They needed a solution that was reliable, flexible, and that would continue to respond to their ongoing budgeting process changes. Realizing that their current budgeting software was no longer being supported, and that no future enhancements were to be expected, the Town of Sidney decided to look for a new solution. Questica Budget Suite was recommended to them by the company that had sold them their existing budgeting software. With a wish list already in hand, the Town reviewed the Questica Budget application and were pleased with its features. The expertise of the team at Questica, as well as the extensive support that would be provided, convinced the Town of Sidney that the Questica Budget Suite was the right solution for them. Questica Budget easily fit into the Town of Sidney’s existing software environment, and provided them with the features and capabilities they required. It was critical to Sidney that the new system provide flexibility in the reporting tool. Reports needed to be formatted as council ready, and the process of creating custom reports simple and straightforward. Since implementing Questica Budget, Sidney no longer has a need to manually enter data into Excel for report generation. Questica Budget Capital and Operating modules offer 100+ out-of-the-box reports and customers have the option of an ad-hoc reporting tool that allows them to create additional reports as desired. The Notes and Attachments feature of our budgeting solution was welcomed by the Town of Sidney. Providing users with a reliable source of backup information not only assists them in tracking and selling their budgets, but results in a savings of time for all involved. The Finance Department has saved over two weeks and each department typically saves several hours per budget cycle. With approximately 15 people involved in the budgeting process, the benefits of providing a consolidated application were immediate. The process of rolling budgets over to a new year is clean and simple. Users are now guaranteed a proper base from which to build their budgets. Throughout the budget process, all users work off one copy, eliminating the risk of multiple versions being circulated. All budget information is available in real time, making it easier to manage the budget, understand its impact and plan for the future. Our graphical interface provides an excellent representation of the Town’s corporate structure, making it easy to train employees. The format is convenient and well organized and the use of the “tree” structure makes it easier for users to navigate to specific areas of interest to them. Questica Budget enables Managers to set permissions on who can make changes to their budget at each stage of the budgeting process. In addition, Managers can view a record of all changes made, by whom they were made and when they were made using our Logging feature. Sidney was pleased with the depth and breadth of expertise of the people at Questica, through all stages of the implementation. Questica’s deep understanding of public sector budgeting and all software associated with the budgeting process meant a seamless integration. Our commitment to providing a product that is reflective of the ongoing changes in the industry, means the Town can rest assured they are dealing with a solid product. Thanks to more efficient budgeting, Sidney is brilliant.